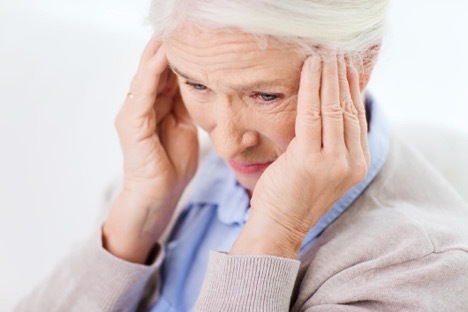 As you age, you will find that managing your stress becomes more difficult. While most of us ironically think of retirement as a time of relaxation, this is rarely the case. New anxieties and worries will get the best of us and you will quickly find yourself feeling overwhelmed. Thankfully, today we’re here to help you cope, sharing these 6 helpful stress management tips we think you’ll find helpful. Feeling stressed? Keeping it bottled up won’t solve anything! Whether you prefer to talk to someone about your problems or simply jot it down, this tip will provide therapeutic relief for those who feel overwhelmed. Don’t let stress take over your life. Use this tip to Identify root cause of your stress, along with its trigger, so that you can develop a plan to relieve yourself in the future – should this happen again. Find a story that inspires you or a series of books that you can’t put down! Reading can help you escape reality for a bit while also distracting you from all the stress you may be experiencing in the moment. In addition, reading is also said to help calm your nerves. Afterall, losing yourself in a book is the key to ultimate relaxation. Studies have shown that your vitamin intake can affect your psychological state! So in addition to taking your regular vitamin C supplements, be sure to include fresh fruits and vegetables in your diet! For seniors, we’d recommend eating more tomatoes, parsley, papayas, strawberries, green peppers and asparagus – all of these foods are easy on the teeth and are vitamin rich too! Additionally, consider taking Vitamin B5 supplements! This vitamin works by enhancing the production of neurotransmitters to help calm your central nervous system meaning it could do wonders in helping you relieve your stress. However, before adding new vitamins like this into your diet, be sure to check with your doctor. Believe it or not, studies show that pet owners have a lower blood pressure and an increased immunity to asthma attacks and allergies. Whether it be taking your dog for a walk or cuddling with your cat, pets are known to offer soothing comfort to their owners. This tip could be especially useful for seniors who live alone; pets offer a fun and loving companionship, which could in turn help seniors improve their mental well-being. Don’t sit at home in front of your TV all day! Living a standard routine day in and day out can get boring really quickly. Instead, place yourself in new and ever changing environments to mix things up from time to time. You’ll find that this leaves you with less time to stress about minor details in your life. For starters, consider going to a local park for a walk or even heading to a grocery store or mall for a couple hours. Not only will you be unconsciously exercising, you’ll also add a bit more spontaneity to your life which never hurt anyone! As you age, many new health concerns will arise and, for many, it is inevitable. However, there are many things you can do to help yourself feel better about these changes. From taking up new hobbies to simply getting the recommended 8 hours of sleep, you’d be amazed to witness the benefits you reap from simply taking care of yourself! At Skilled Therapies, our mission is to help seniors effectively improve their quality of life. If one or more of these tips worked for you or your loved ones, let us know! We can’t wait to hear about all the positive changes you’re seeing! For more information or assistance on topics like this, feel free to contact us at 925.271.9100 or drop by one of our 6 convenient locations today.